Summary: The IAA Cosmic Study on Space Traffic Managment (2006) defined STM as ”the set of technical and regulatory provisions for promoting safe access into outer space, operations in outer space and return from outer space to Earth free from physical or radio-frequency interference”. 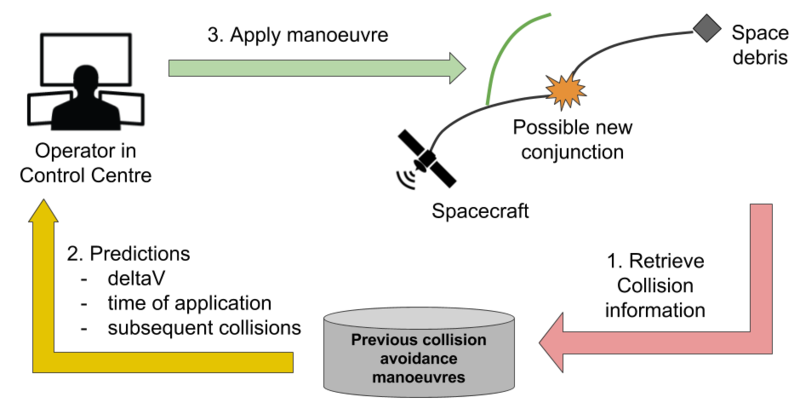 One of the key operations is collision avoidance that follows the prediction and detection of a possible collision. With the increase of space traffic and number of objects to be operated, it is expected that ground operators might struggle and make sub-optimal decisions due to the less predictable consequences of each manoeuvre. This project aims to develop an Artificial Intelligence-based decision support system to assist ground operators to plan and implement collision avoidance manoeuvres. When a new conjunction is expected, the system provides the operator with an optimal manoeuvre and an analysis of the possible outcomes. 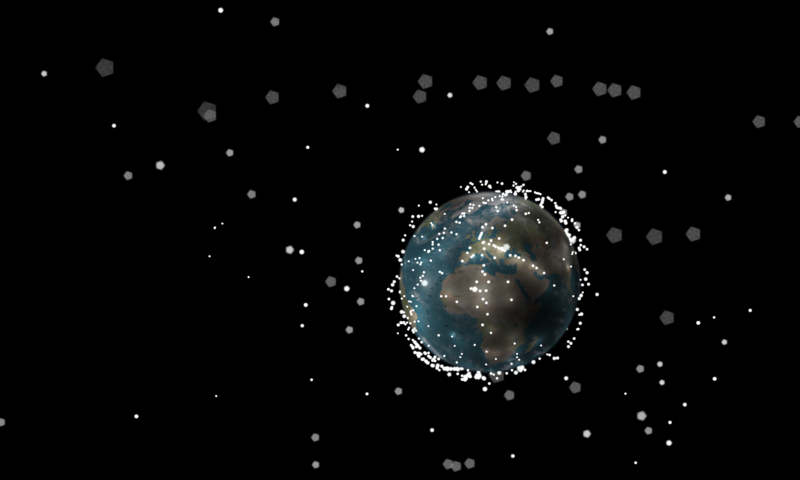 Machine learning techniques are combined with uncertainty quantification and orbital mechanics calculations to support an optimal and reliable management of space traffic. effect on the total lifetime of the spacecraft. 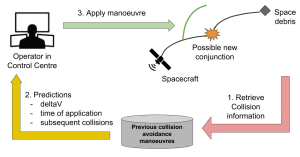 Using this dataset, we train predictive models that forecast the risk of avoiding new collisions, and use them to recommend alternative manoeuvres that may be globally better for the space environment. The resulting manoeuvres obtained from this AI-based decision support system are compared with those obtained directly without support from past data to analyse the benefits and drawbacks of this new approach.